"I am a player," Paul Pogba said on international duty last week, "who would rather go forward." A statement of the obvious, you might think, but this represented quite a shift from the world's most expensive footballer. Before Euro 2016, he was telling us he regarded himself as "the midfielder of the future", a player who can do "everything - he can defend, he can win the ball, he can make the play, he can pass, he can score". 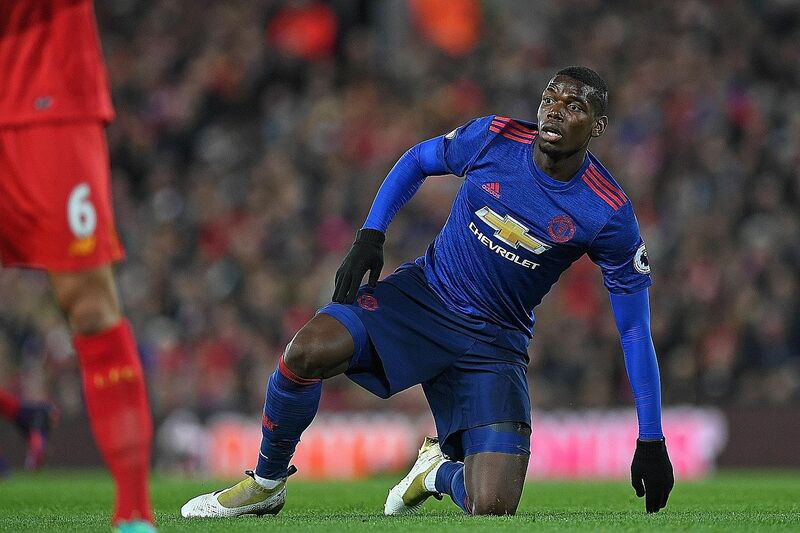 In two months since arriving at Manchester United in a world-record £89 million (S$151.5 million) transfer from Juventus, Pogba has shown us he can indeed do it all - well, all except defend, anyway - but he has never come close to doing it all at once. When it came to the crunch at Anfield, Jose Mourinho decided it was time to give him a less complicated brief: Leave the more prosaic stuff, the breaking-up of play and the fetching and carrying, to Marouane Fellaini and Ander Herrera and try to produce a moment of match-winning quality. What transpired was a United performance that, perhaps for the first time, was at least faintly recognisable as that of a Mourinho side. This was a team in which the back four and the two holding midfielders did just as their manager asked, denying Liverpool's various fleet-footed types the time and space in which to operate. The shame, if there was one for United, was that it felt such a waste of a player of Pogba's talents. On a night like this, in a match that his manager dared not lose, the Frenchman was effectively asked, in sporting parlance, to take one for the team. He stuck to his unappealing task and they deserved their point. There was one moment, early in the second half, when he demonstrated the qualities that made him such a formidable force during his time at Juventus. From a position near the right-hand touchline, he played a quick one-two with Antonio Valencia in a tight area, dummied his way past a bewildered Jordan Henderson and, with barely a glance, struck the most exquisite ball to the far post, where Zlatan Ibrahimovic might have expected to do better than to send his header wide. It was a sumptuous piece of skill, but it was, truly, an isolated incident. The Frenchman was a bystander for the most part of the evening and that has to be a concern. Pogba is a superb footballer - but far less complete as an all-rounder than he seemed to think when he spoke in April about his ability to do "everything". And so far it has not looked as if United have a plan for him. He has played in a central midfield duo with Fellaini and with Herrera, neither of whom is the ideal accomplice for a player of his type, and now he has been thrust forward in support of Ibrahimovic in a 4-2-3-1. None of these roles has really suited him and so you can only conclude that Mourinho's devotion to 4-2-3-1 is even more slavish than we had previously imagined. Somewhere along the line, there surely has to be another rethink. Pogba is a versatile player, but, to put this in Mourinho's terms, which rely on a certain rigid view of how teams set up, he is "not a 10" - in the same way that the Portuguese said Rooney is "not a six or an eight". Mourinho said in July that he is a manager "that likes specialists, not multifunctional players", but he seems not yet to have worked out what Pogba's specialism is or, more likely, how to find a way to help him produce those qualities on more than a fleeting basis. The 23-year-old might have suggested on international duty last week that he was a player who "likes to go forward", but there was little opportunity for him to advance from his starting position at Anfield and there was certainly little time on the ball. The post-match statistics suggested that he had touched it 62 times - against Herrera's 90, Henderson's 103 and Philippe Coutinho's 87. If anything, Pogba's figure overstates his influence on a game that seemed to have been designed to pass him by. On a night like this, in a match that his manager dared not lose, the Frenchman was effectively asked, in sporting parlance, to take one for the team. He stuck to his unappealing task and they deserved their point. Sooner or later, Pogba will hope for the opportunity to show that he can be more than a cog in Mourinho's machine, but it is clear that he will not be allowed or encouraged to do "everything".